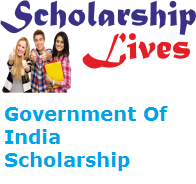 The government of India Scholarship, Maharashtra has invited Government Of India Scholarship 2018-19 Application form for all the students who are studying in Classes IX to XII. This scholarship aims to attract students towards the all Subject at the Secondary stage. This scholarship Scheme will develop the interest in education among the students. If you are also one of the applied candidates then don’t miss this golden opportunity and fill the Government Of India Scholarship Application according to eligibility criteria, selection mode, how to apply online which is completely mention below. Students Should be studying in Govt. Institute. The family income must be less than 2 lac. If candidates are repeating the class is not allowed to fill the Application Form. It is necessary to pass the previous year’s examination in order to renew the scholarship. Income certificate of a parent. Bank Passbook Mark sheet of passing the examination. Next Complete Aadhar card verification process via OTP or biometrics. Applicants will get OTP on their registered mobile number (only if they opt for OTP authentication). Complete the registration process by filing mandatory details. Log in with your username details. Fill the Application form Details and submit. Last Date for receipt of application form: 31st December 2018.